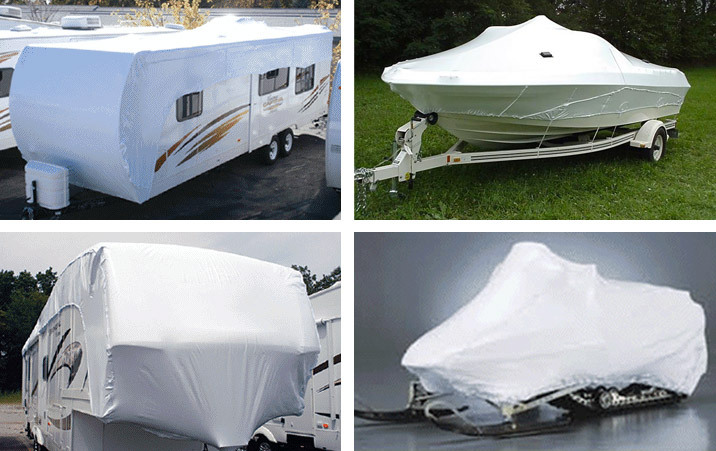 Now offering the supply and install of Transhield boat and RV covers! Transhield patented shrinkable fabric covers are custom-fit for transportation and storage protection. Learn more below or contact us for pricing and options. Why Transhield for Recreational Vehicle Applications? Transhield provides custom fit motor home and RV covers for transport and storage protection. The motor home shrink wrap covers and RV shrink wrap covers with zippers and Velcro makes use simple and reusable.